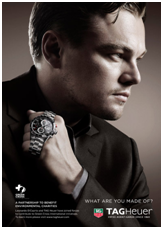 most high-profile examples of Hollywood icons and the watches they love. Over the years, Rolex has been the preferred brand of many celebrities. Icons including Harrison Ford, Usher, Matt Damon, and even Martin Luther King Jr. have famously been spotted in Rolex watches. Some celebs, however, are true devotees, none more so than Daniel Craig. Craig has been spotted in no fewer than 7 different high-end Rolex watches over the years, and remains a true brand loyalist. Leonardo DiCaprio has long been a TAG Heuer devotee, appearing in numerous advertisements for the luxury brand, and often wearing some of their most popular models — like the Carrera Calibre 16 — out in public. Other esteemed celebrities who have promoted TAG Heuer watches include Brad Pitt and Tiger Woods. 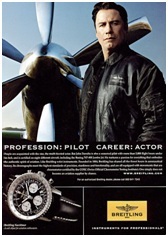 It’s no secret that John Travolta is passionate about flying, and Breitling has proudly made use of this fact in its ad campaigns with the celebrity. Since Breitling is world renowned for designing precision-made chronometers geared toward aviators, Travolta is a perfect fit for their brand. Other celebrities who have endorsed Breitling include David Beckham. Luxury Swiss timepieces don’t get much better than Audemars Piguet, and in 2005, the company teamed up with Jay-Z to design a special-edition watch for their Royal Oak collection. 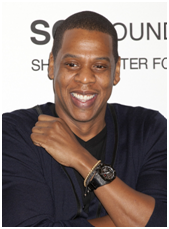 The watch features Jay-Z’s signature on the caseback, and is now considered a rare and valuable find among watch collectors. Some online vendors are currently offering the watch for nearly $100,000. 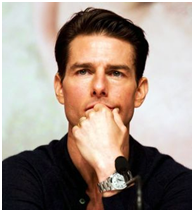 Though Tom Cruise has never been an official spokesman for Bremont, this Hollywood A-lister can often be seen wearing the company’s signature designs. Like Breitling, Bremont appeals to a more rugged clientele, with particular ties to the world of aviation. Cruise’s unofficial endorsements have undoubtedly provided a significant boost to the company over the years. If you want to adorn your wrist like Hollywood royalty, be prepared to shell out some significant coinage. While you can often save money by buying from secondhand watch dealers like TimeScape USA, there is no getting around the fact that luxury comes at a cost. 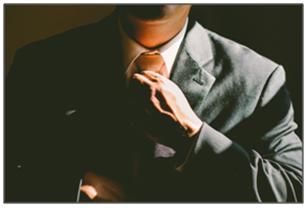 It’s about setting yourself apart from the crowd, and aspiring to a higher level of class and sophistication. Yes, it may cost a bit more to dress like Hollywood royalty, but the feeling that comes from owning such a treasured timepiece is always worth the investment. Andrew Hoffman is a freelance writer and journalist from Los Angeles, CA, who has written on behalf of a range of clients including the Livestrong Network and Demand Media. In addition to writing on various topics of interest, he enjoys physical fitness, surfing in Santa Monica and collecting classic, first-edition novels. You can get in touch with him over here.